You are here: Home / Town Happenings / Fan Photo: Need a Perch? Fan Photo: Need a Perch? 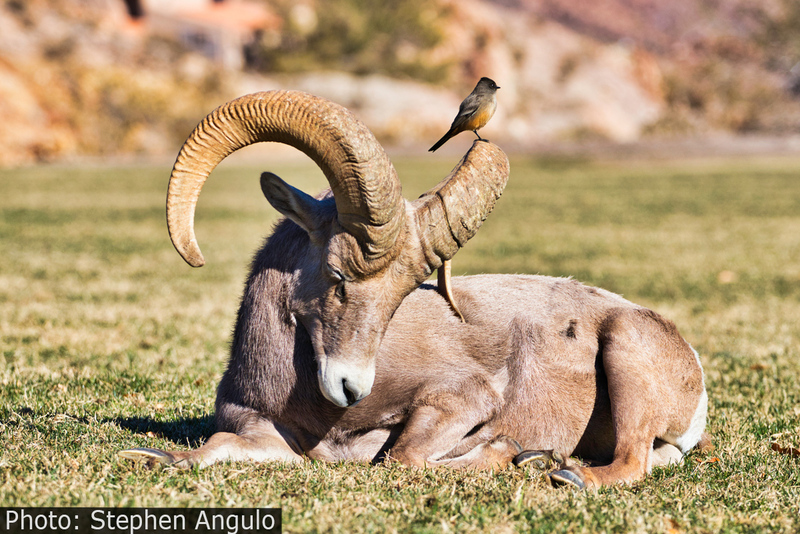 This little birdie needed a lookout perch, and it appears this beautiful bighorn was happy to oblige! Note the exceptional skills of Stephen Angulo, who gives us what will likely be one of the favored Fan Photos of the year – and that’s saying something given that it’s only February!!! He also gets an extra distinguished honor, since his photos have been featured two weeks in a row! To submit your awesome, inspiring or even down-right funny photos to us, you can do that anytime on our web site HERE.